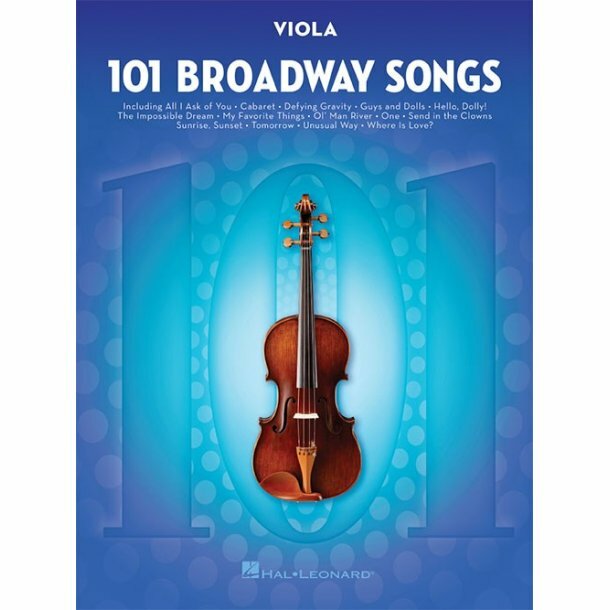 This collection of Broadway classics contains 101 fabulous songs from the shows, all specially arranged for the Viola. This instrumental album features pieces by many much-loved composers for musical theatre, including Andrew Lloyd Webber, Rodgers and Hammerstein, Irving Berlin, Boublil and Schönberg and more. Songs include: As Long As He Needs Me (Oliver! ), I Dreamed A Dream (Les Miserables), Tomorrow (Annie), Memory (Cats), The Music Of The Night (Phantom Of The Opera), If I Were A Rich Man (Fiddler On The Roof).